CUPP computing has come up with a new hybrid computing hack for the good old netbook, called PunkThis. 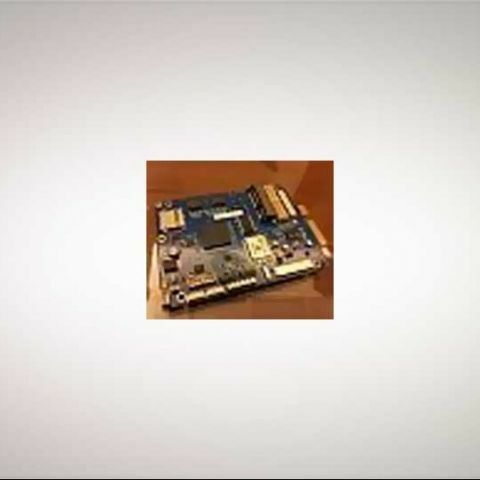 It is a single board having an ARM processor that fits into your x86 platform based netbook’s 2.5” SATA Hard drive bay. In the module, you get a 1GHz TI OMAP DM3730 ARM processor paired with 512MB of RAM, a Mini PCIe SSD to replace the host storage, and shared flash memory for both systems. In essence, PunkThis offers the ability to combine a low power consuming ARM processor with a full fledged PC experience offered by a high performance Intel X86 processor. The idea is pretty simple: switch instantaneously to the Android OS when performing simple tasks such as browsing. And should you need to make a Powerpoint presentation, flick a switch and you’re in Windows using up all the precious wattage you require. The module is not yet released, (promised release is in 4-6 weeks) but the demo shown to us at the Computex 2011 in Taiwan had us thinking at least, if not impressed. Check out the video above, where they have an ASUS 1015pn installed with the PunkThis. On the left, they have a punked Macbook with an Ubuntu OS. Those of us who have netbooks are no longer ancient Neanderthals. Running the Android OS with all its amazing apps is now possible for netbooks (laptops and PCs) too. Switching between the OSes is as simple as pushing a button on the keyboard. Moreover, a Punked system will be able to run on Android for a claimed 20 hours at a stretch. In the best case scenario, it can run for a mind-boggling 40 hours on a single charge. PunkThis has a lot of future promise, since the possibilities of hybrid computing between the android-ARM and the Wintel systems are tremendous. Imagine running android apps with the full processing power of a proper x86 processor or running basic MS Office software on a battery life lasting a whole week or being able to combine the processing power and power optimization of both the Intel X86 and ARM processors together or the Android OS and Windows OS having the ability to converse with each other. Although, as of now, at a price of around $200, it is steep. But as Mr. Omar Nathaniel Ely, CTO of Cupp said they would be releasing a reference platform in December. Further to which we suspect economies of scale that come with mass manufacturing may bring this price point down considerably. Siddharth a.k.a. staticsid is a bigger geek than he'd like to admit. Sometimes even to himself. Is there any need of smart watch, when your phone is at your arm\'s reach in pocket?